The keynote started with a David Attenborough documentary style parody introducing the thousands of developers coming to attend the events as animals and they talk about how they have been in hibernation for the past 11.5 months and that the sun now burns them. The entire thing was very playful and is a big change from anything that has ever been done before by Apple. 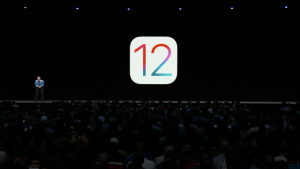 Tim Cook started by informing the audience that there are now 20 million Apple Developers around the world with developers from 77 countries attending the event. The App Store’s 10th anniversary was also announced with the title of the world biggest app marketplace. Swift, Apple’s own programming language now has 350,000 apps on the App Store written in it. The CEO quickly announced that it was a software only event meaning we probably won’t see the dated MacBook Air or Mac Mini getting an update until at least September now. iOS 11 boosted an 81% download rate for the over 1 billion active iOS users and the 11th iteration also got a 95% consumer satisfaction rating. 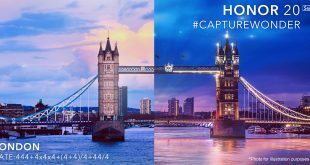 iOS12 took centre stage with the main focus being speed and responsiveness of apps on Apples mobile device meaning even on the fairly dated (in smartphone terms) iPhone 6 Plus gets an up to 70% increase of speed when opening the camera. “AR is transformational technology” – Craig Federighi. “Measure” is a brand new first party application which takes advantage of the AR functionality built into the silicon designed by Apple. The app will allow you to measure objects in the real world to get an estimation of the size of something. ARKit2 was announced with Lego’s head of imagination being brought on stage and showing how amazing the technology can be with the physical Lego set being transformed into a full-fledged adventure playable with multi player support. The app ‘Lego AR Experiences’ will be launched later this year. Siri was touted to be the world most used smart voice assistant. 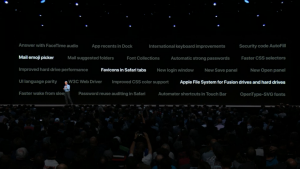 It will now have more useful built-in integration with apps with developers allowing custom phrases to carry out tasks which would have previously required opening the app and carrying them out but Shortcuts will be able to bypass that and remove any third-party requirements. The Shortcuts app basically allows you to integrate a level of IFFTT like commands within Siri. The Apple News app on iPad now has a sidebar which lists the different news publications that you are subscribed to. The stocks app which hardly anybody actually uses now has the Apple News business related news beneath. The iPad also now gains access to the stocks app. Voice Memo’s also makes an appearance on the iPad for the first time ever. iBooks are being renamed Apple Books which is a trend followed across the entire range and it now has audiobooks section and redesigned store. Do Not Disturb now boasts a ‘During Bedtime’ mode which allows you to hide all notifications overnight so that you only will see those notifications once you are ready to in the morning. Notifications will now support grouping so all the notifications from specific apps, threads or groups will be collated on the lock screen/notification panel. It will also have more controls on apps notifications such as disabling them completely or snoozing them temporarily. You will also now be able to get reports on how and when you are using your iOS devices so that if you want to curb your addiction, it will now be much more easy to do so. The Screen Time app will now allow management of children’s usage so if you only want your child to only use their device for 1 hour a day or only allow them to access education applications during certain times of the days. Animoji, you all remember that right? 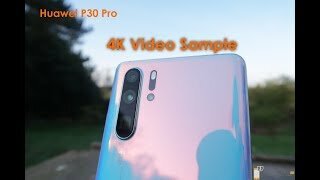 Yeah, that gimmicky feature nobody ever used past the first day of using the iPhone X. It now supports tongue detection with new animals introduced. Memoji is now also a part of the Animoji family and you are able to customise it heavily to allow it to be most lifelike to you. Nope you didn’t read that wrong, Apple really did call it Memoji. 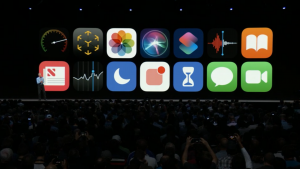 Facetime now gains group support so you will now be able to Facetime with up to 32 people at the same time which is probably the largest number I have ever seen and this will single-handedly kill at least a dozen applications available on their App Store which had this as their USP. Apple Watch was the next in the limelight with a #1 Customer Satisfaction rating. Tim Cook told a story about how a lady was with her husband whilst boating, he fell into the ice-cold water and to keep him afloat, she held him tightly and she was only able to call emergency services using Siri which resulted in her husband’s life being saved. The health app now allows for competitions between friends resulting in awards awarded to the winning person. Gymkit is apparently now a thing which allows you to sync gym equipment to your Apple Watch to get better exercise reporting. Workout detection and yoga do-ers and runners will now also get better accuracy. 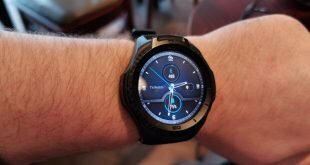 Walkie Talkie is a new app on Apple Watch which will allow friends and family to communicate in short bursts over cellular or Wi-Fi. Siri Shortcuts will now also be available on the Apple Watch alongside 3rdparty integration included. Third on the list, Apple TV. 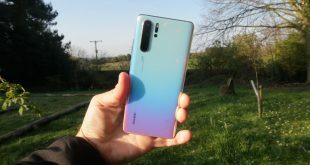 This was mainly reiterating what was previously available such as the world’s largest collection of 4K HDR video, and free upgrades to 4K HDR video where available on prior purchases. 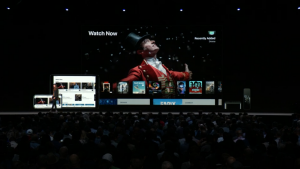 Dolby Atmos was the main highlight of the Apple TV section and the Apple TV 4K is the only Dolby Atmos and Vision certified player. 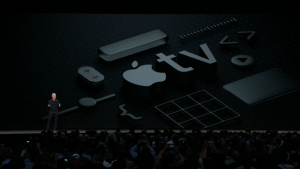 Apple TV is now being used as the main replacement for the set-top boxes of yesteryear with many TV service providers now offering an Apple TV 4K to present their channels rather than a dated custom box. 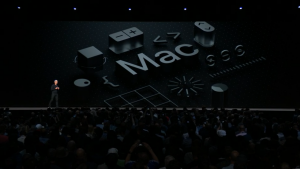 MacOS was the last operating system shown during the event. 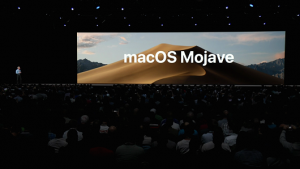 The newest iteration MacOS Mojave (pronounced with a ‘h’ instead of the ‘j’). It is a desert based in California. Mojave will now bring OS wide dark mode instead of just the top bar being dark. Throughout apps such as Finder, Photos, iTunes and even XCode, the applications will now feature a greyish theme. Dynamic Desktop is a new feature which changes the background image based on your time of day. It will be according to Morning, Afternoon, Evening, Night. The desktop will also now have Desktop Stacks which separates the documents out by items such as Documents, Photos and Presentations which will help many of us from having cluttered desktops which is something I suffer severely from. Finder now has Gallery view which allows you to have a big preview of the image you took including meta data without you having to open Preview to view the image. It will also now support basic photo mark-up and rotation. You can also make custom actions such as watermarking. Screenshots will now mimic the experience we are used to on iOS with a small preview in the bottom right corner to allow quick edits to it. You can now also record video when you press command + shift + 4. Continuity now has Continuity Camera which means you can take photos to insert within presentations and documents using your iPhone. This is personally something I found incredibly cool. MacOS will now gain the News app with the same channels across the sidebar very similar to the iPad. Stocks also joins Voice Memo’s on the Mac with the same business news linked. Home will also be coming to the Mac so you can control your entire smart home from your Mac with Siri support. Privacy will be upgraded on Mac following the huge uproar with Cambridge Analytica and Facebook recently with more location, camera and microphone restrictions. The Mac App Store has been fully redesigned and its designed to be more similar to the iOS App Store with a more immersive experience, however I am personally not a huge fan of it. The question which has been asked time and time again, ‘Will MacOS and iOS be merged?” Was finally answered with the response being a huge No! Craig Federighe was very clear about this. There was a sneak peek to a multi-year project which means that in the future, it’ll be much easier to take iOS apps to the Mac App Store. The project will be launched in 2019 to developers whilst Apple works out the kinks behind the scenes in MacOS Mojave.